These homemade marzipan Christmas treats are cute, easy to make, and are a tasty and unique holiday sweet. 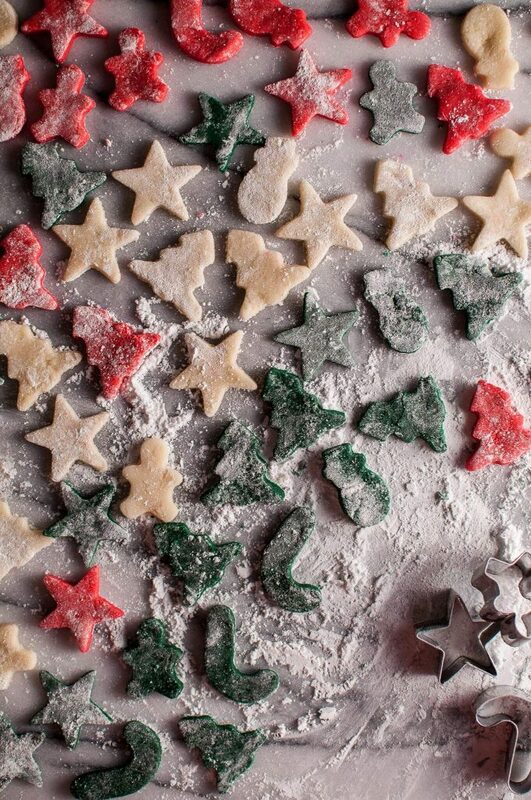 Perfect for your cookie exchange or a homemade gift! I grew up eating marzipan. It’s pretty common in the Czech Republic (my mom is from there, and I lived there for a couple years when I was little). My mom makes these yummy marzipan mushrooms every Christmas and they’re super cute, but I wanted to try something a little different here. 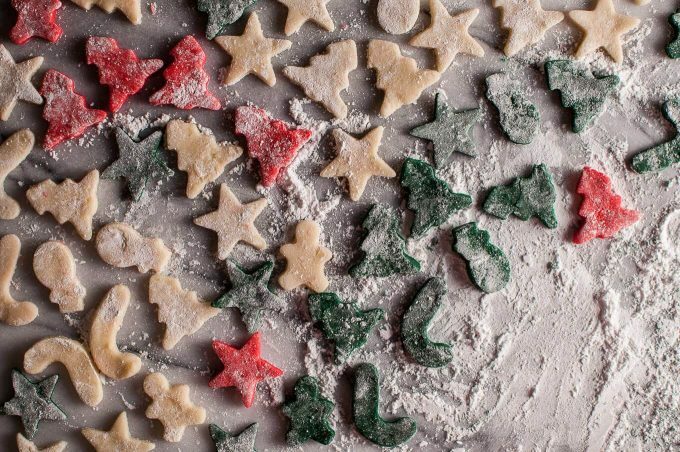 I’ve never tried making my own until I decided to make these delectable homemade marzipan Christmas treats. 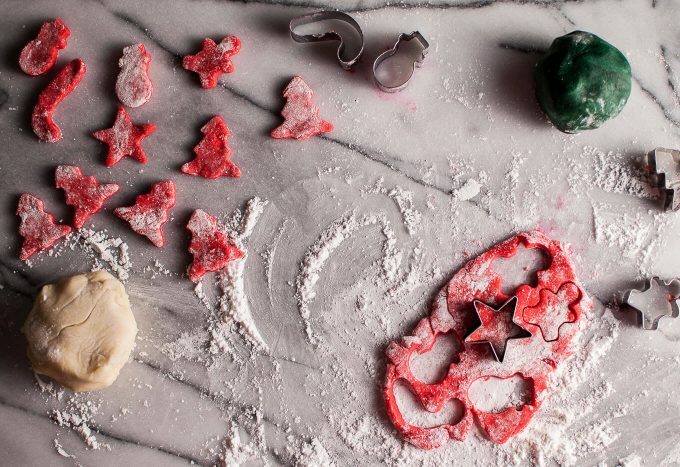 I picked up a pack of little Christmas cookie cutters with this recipe in mind. Making marzipan from scratch is pretty simple, and I used Daring Gourmet’s guidelines to make the basic recipe. I then added food coloring and rolled the marzipan out to make the shapes. If you haven’t had marzipan before, it’s essentially a thick almond paste. It has a delicious sweet almond flavor, and it’s often paired with chocolate (such as Ritter Sport chocolate – one of my favorites!). You can sometimes find marzipan by itself, sculpted into fun shapes like fruits or animals and painted to make them look lifelike. It’s also sometimes used to decorate cakes. This marzipan recipe is made much easier by using almond meal/flour – thinly ground up blanched almonds. 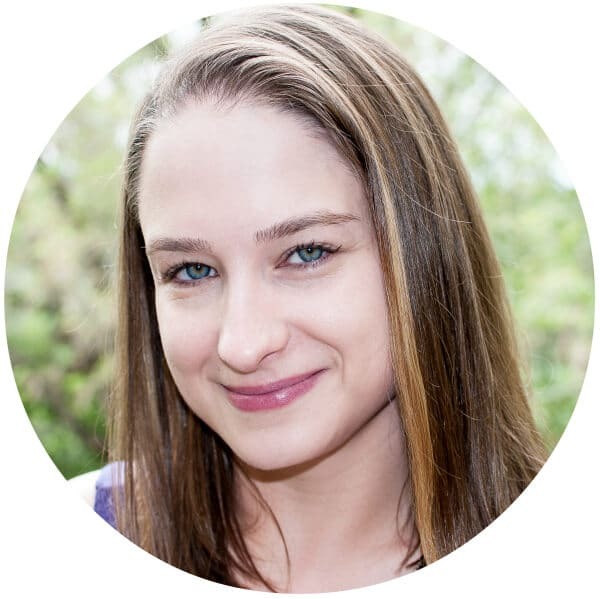 You could blanch and grind your own almonds, but who has time for that? Coloring the marzipan is optional, but I definitely think it adds a fun touch. To make the coloring process easy, I divided the “dough” into three roughly equal parts, placed each part to be colored into a small bowl, and used a spoon to mix the food coloring in. That way you avoid staining your hands. The marzipan is pretty sticky, so I used a lot of icing sugar when rolling it out, much the same way you would add flour to dough to stop it from sticking to the rolling pin. It’s up to you how thick you make the shapes – just play around and see what you prefer. You don’t want them too thin, or they will bend and/or lose their shape. Keep in mind that marzipan firms up when stored in the fridge. I do recommend storing the marzipan in the fridge to preserve freshness and keep its shape. If you’re so inclined, you can definitely get creative when sculpting it. Cookie cutters are just one option to get fun shapes. I made marzipan the traditional way (with raw egg whites). If you really are worried about eating uncooked egg whites, try substituting 2 tablespoons of light corn syrup instead. I haven’t tried it myself, but it’s the suggested substitute in many marzipan recipes. The rose water adds to the classic flavor. If you’re having trouble finding food-grade rose water, try a specialist kitchen/cooking shop, or here’s one from Amazon. I was pleasantly surprised to find out just how easy it is to make marzipan at home that tastes like the real deal. You know how you sometimes try to make things at home and it just doesn’t work? Not this time! 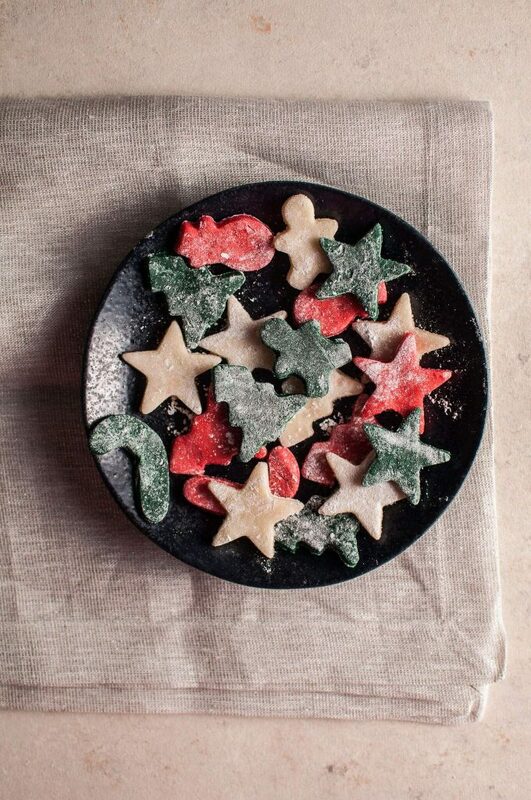 You’ll love these Christmas marzipan sweets. 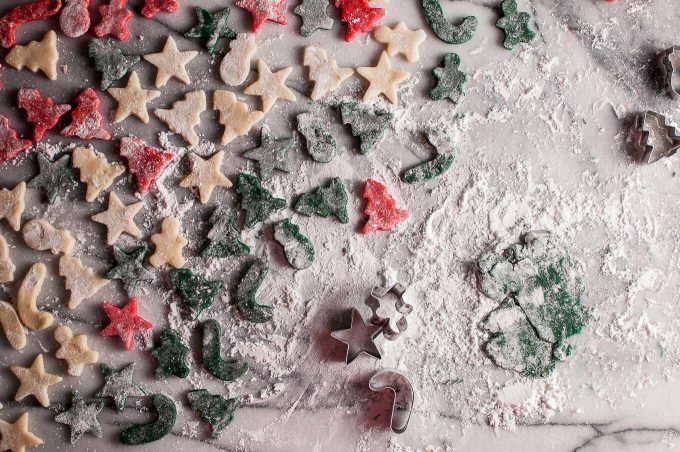 Hope you enjoy this Christmas marzipan recipe! Have you ever made your own marzipan? Delicious homemade marzipan, shaped with Xmas cookie cutters. In a food processor, pulse the almond meal/four and powdered sugar until they're mixed together. Add the egg white, almond extract, and rose water to the food processor. Process until a ball of marzipan (it will look like dough) is formed. Remove the marzipan and place onto your work surface. Knead it a few times (you may need to add some powdered sugar because it'll be sticky), and then divide it into 3 balls if you plan on coloring it. Place 2 of the balls each into a small bowl. Add the food coloring and stir it in until it's mixed in evenly. Form each color of marzipan into a ball (you'll likely need to add icing sugar to do this). Work with each ball of marzipan at a time. Roll each ball out, cut out shapes, and then repeat until all the marzipan is used. If your egg whites are pretty fresh, marzipan should last at least a week (if not a few weeks) if kept in a sealed container in the fridge. Yield depends on how thick you cut the shapes out. Recipe makes about 12 ounces of marzipan.Making the marzipan is easy - it only takes about 5-10 minutes. It's rolling out the shapes that takes the bulk of the time. You can make the marzipan ahead of time and store it in the fridge (cling wrap or a sealed container). Let it soften prior to rolling it out. Basic marzipan recipe is adapted from The Daring Gourmet. Are you giving me some for Christmas!? I never had marizpan until culinary school, but oh my gawsh, is it soooo good! Obviously I am drooling over these cookies!! Not only are they gorgeous, but I KNOW they taste amazing! 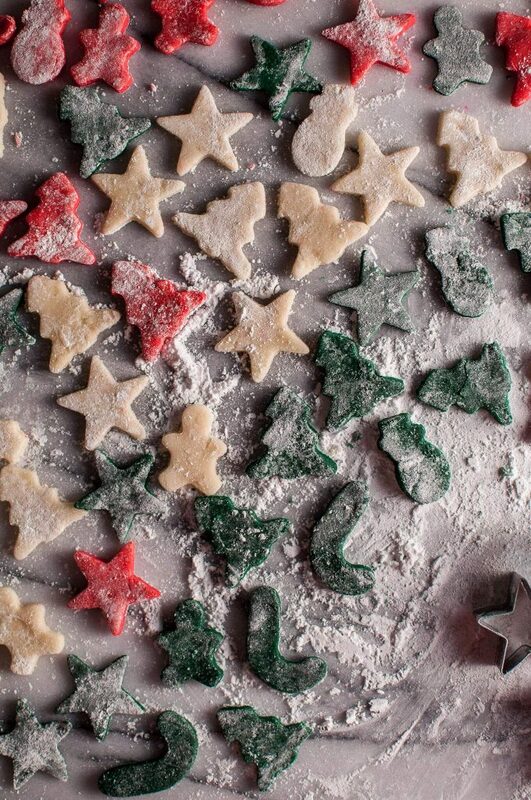 These would be great to include in a homemade cookie gift basket… if I didn’t eat them all first. 😉 Cheers! Aw thank you, Cheyanne!! They are pretty addictive haha. I agree Natasha. These treats would be perfect to give as gifts for the holidays. A nice change from the usual cookies. I’ve never tried to make my own homemade marzipan. I’ll need to get your recipe on my list of must trys! Thanks, Mary Ann! 🙂 Let me know if you try making it. I was definitely pleased with the results.